For today’s post I am going to stick with books that I bought on whim, because I am very much a mood reader and just read whatever I want whenever I want, even if it doesn’t fit with my planned TBR at all. However, I usually do have my book budget planned really neatly, so I don’t just buy random books all that often. 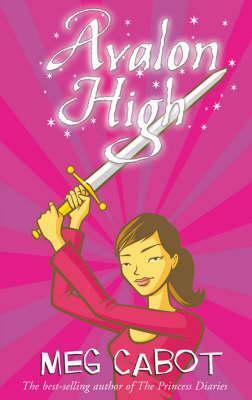 Okay, it’s not like I didn’t know about this book at all or about Kiera Cass as an author. I have read the Selection series, but I knew virtually nothing about The Siren. I thought it was a series as well, which is so not true and I was a little afraid that I wouldn’t like it. But in the end I walked out of the store with the book held tight to my chest. I am so glad I bought it. It is still one of my most favourite melancholy reads! I have no idea how I found out about this book! I seriously don’t. I just saw it, read the blurb at least a little bit and then I needed to have it. This is one of my all time favourite non-fiction books. It taught me so much about myself and how I can feel more comfortable with who I am. It also showed me some of the most important differences between extroverts and introverts and how we can make each other’s lives easier, simply by listening to our own needs and not letting us be forced into a role we are not. I remember clearly that I discovered this book around the time when I decided to read more books in English instead of the German translation and I was in the shop and the cover is bright and shiny pink. It definitely got my attention and it was awesome. So here’s to that! 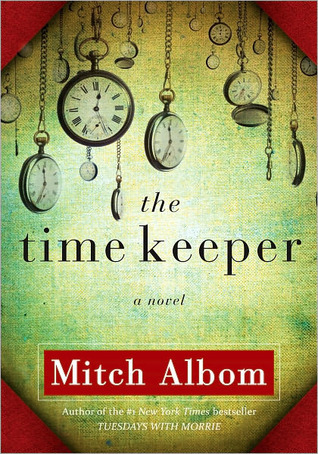 The Time Keeper is a book that I had seen in the shop a couple of times before I actually picked it up. It wasn’t so much that I didn’t want it right away – because I definitely did – but it was so expensive. And then, I finally bought it, not thinking about the money. That day I went into my favourite book store and told the person what I had read before and that I was looking for something similar. She had no idea what to recommend and I don’t blame her. I hate it when customers ask me that sort of thing, I never know what to say either. At least in most cases it is fairly difficult. But we got talking and in the end she recommended this as a summer read and I enjoyed it. There was not much content or story to it, but he feeling was the right one. Back during my exchange semester I read a lot. I even sent home a moving box with magazines and books because I knew that my luggage would otherwise be overweight. This book, however, I got during my last few days. I was staying with my liaison instead of my host family by that time and I had been seeing the trailer for the movie adaptation for weeks now. I wanted to go watch it, but we didn’t have time. She took me to Barnes & Nobles though. I didn’t have all that much money left, but that book I couldn’t resist buying. I saw it and wouldn’t let go anymore. Ha! This one is a bit of an embarrassing one, but it actually wasn’t the most terrible book I have ever read. I think it mostly made me laugh, whether that was intentional or not, I cannot tell. Either way, I got it during my time in France. I didn’t quite feel ready to read a whole book in French and the English section was really small, so that’s what I ended up getting. I think I could have picked something worse. Oh boy, this brings back all the happy feels from being at the Doctor Who Experience in Cardiff. I think I could have spent hours in that merchandise store, but I knew that I had to make a decision at some point or another. Well, a book seemed to be the right item for me (I got tons of other stuff too though). Everyone mostly only ever talks about The Great Gatsby, but I actually really liked The Last Tycoon. I was in one of those very rare classics-moods and I just bought this one because I wanted to be different and not just read the most well known book by the author. Which books did you just have to buy as soon as you saw them? Are there some where you didn’t even read the blurb? Tell me all about your TTT! I’ve heard great things about Quiet. My friend said it really helped her learn more about her husband and daughter’s personalities. Great list! 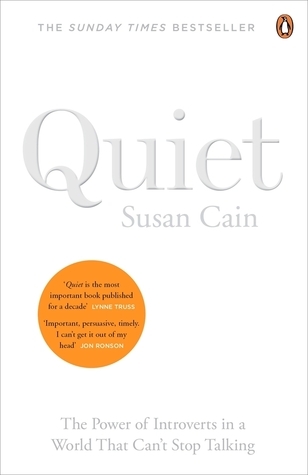 Susan Cain is a real advocate to make the surroundings, especially in school and at work, more accommodating to both, introverts and extroverts. I guess there was some drama because she didn’t showcase the extroverts as much as the introverts, but I think it showed both and that introverts get overlooked a lot of the time anyway. Their needs are very different. Fantastic list! The Doctor Who one looks really beautiful, I bet it’s even better on the inside. Does it mention all the doctors? Also, I’ve always wanted to read the lesser known works of famous authors, but never do. The Last Tycoon might be a good choice! Thank you 🙂 I am really happy to hear it! The Doctor Who book mentions the Doctors up to Eleven. It’s basically written with his comments. The Last Tycoon was great, but I should probably warn you. Fitzgerald never got to finish it so half the book consists of his notes rather than the real story. It was still an interesting experience! Ohh wow, I didn’t know that. Thank you for warning me, it would’ve been awful finding out during the middle of the read! Hahaha it would have been! And I know, because that’s what happened to me. I loved that book and it made me read Nineteen Minutes, which was also fantastic! Ahh cool- I’ve read very few other books by Picoult- I should definitely read that one! It’s super intense because it is about a school shooting, but it had quite the impact on me. Oh wow- that sounds very topical and worth reading! There have been a few, might make a list for it (not TTT, though). Also, David Gilmour… As in the guy from Pink Floyd? You should totally make a list and there’s no need to do it within the confines of TTT, you can handle that however you like. Nope, that’s not the same David Gilmour. This one is a former Canadian TV journalist and now fiction writer. 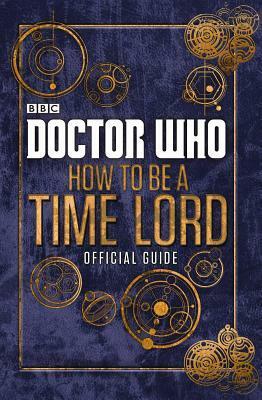 I would totally grab a book that may reveal the secrets on how to be a Time Lord! Ugh, seriously, where is that book in my life. Thank you! It’s a great book! How did you find The Last Tycoon? I’ve been meaning to read it for years after The Great Gatsby. Well, I probably should have mentioned this in the post, but The Last Tycoon isn’t actually finished. The last third or so mostly consists of Fitzpatrick’s notes. I still liked it. It has the old Hollywood charm. Books I bought on a whim and ended up loving; Glass House, The Morganville Vampire Series by Rachel Caine! As a fair warning, Fitzgerald never got to finish The Last Tycoon. Part of it consists of his notes alone. You’ve basically described how I was (am?) 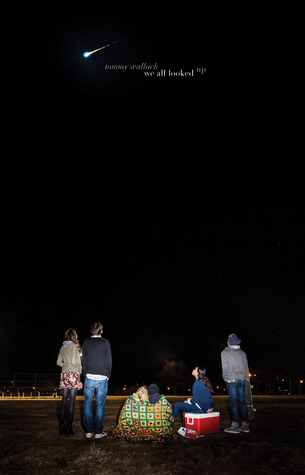 for We All Looked Up — still haven’t read it but coveted the book enough to buy it. It chills on my chill soooooo. It was an okay read in the end. I liked it enough to pick up his other new book as well, but it was only mediocre too. I’ll give him one last chance, if I don’t love his third book (whenever that comes out), I’ll just give up on him. I have not read The Last Tycoon, but I generally enjoy Fitzgerald’s writing. Thanks – I now feel compelled to read this book, and will likely so soon! As a fair warning, The Last Tycoon is an unfinished work hahah thought I’d throw that out there. Ok.. that was my initial reaction, but I couldn’t quite remember. Did it disappoint you, did it feel unfinished? Or is it fairly cohesive? Hmmm, it’s been a while, but I felt like my flow of reading was really disrupted, especially because I didn’t know beforehand that it wasn’t finished. But I love that era of Hollywood so I enjoyed it nonetheless. I think I never full read all the notes though. I actually don’t like Kiera Cass at all – I’ve only read The Selection and it was just very… vapid? In my opinion. And I don’t like ballgowns and girls on the cover, and ALL her books seem to be like that, haha. Glad to hear that you like The Siren though! Is that related at all to The Selection? 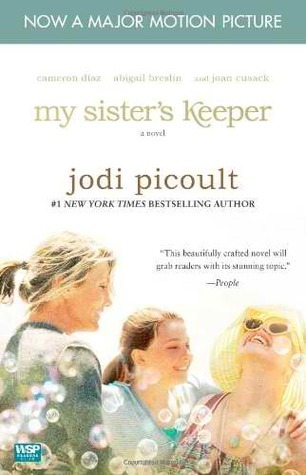 Also My Sister’s Keeper was my first Jodi Picoult book and whoa did it blow me away. Such a difficult, emotional read! I am not the biggest Kiera Cass fan either. The Siren has absolutely NOTHING to do with The Selection. It’s a tale about a girl who has to work as a Siren for the Ocean killing people with her voice, because the Ocean saved her life. It’s really sad and melancholic. The love story isn’t perfect, but the whole book is more about sisterhood. I loved it. Solid 4-star-book in my opinion. Yep, My Sister’s Keeper had me hauled up crying in my room for a while. 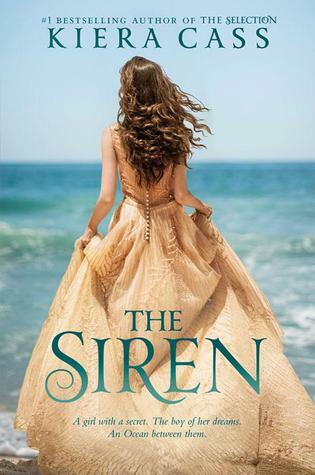 i was super convinced that The Siren would be a series as well… maybe it’s the cover? it screams series to me. 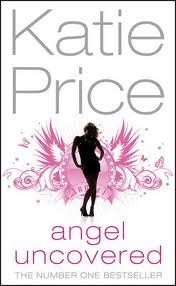 You have such different books on your list… is Angel Uncovered by Katie Price that bad? what is it about? Maybe … I don’t know what it was with The Siren. Well … Angel Uncovered wasn’t THAT bad. But Katie Price … she’s not the greatest person out there. Also, it was the second book in a series, which I didn’t know. what’s the issue with her? You know she’s that British model. In interviews she never seems to be the smartest person out there and the book is sort of inspired by her life. So, that was weird. Just a tiny bit. Google her hahaha and just look at the images. OH The Siren was such a melancholic read, I think we already agreed on that. IT made me kind of in a sad mood to be honest, ahah., but I really liked it! The Siren had me in a sad mood as well. Sometimes I don’t mind that though. My Sister’s Keeper was definitely emotional and the book even more so than the movie. I absolutely love Quiet too. I picked it up after hearing her Ted Talk, and I’m so grateful I read it. It’s like the first time anyone said: hey, being an introvert is okay. That’s exactly how I felt too! Usually everyone wants to push you to be more outgoing and extrovert, but it’s just not in everyone’s nature and this book showed that that’s totally fine too.